Although, it has been decades since the unfortunate disaster of space shuttle Challenger soon after the lift off, there has been no unofficial video of the disaster ever released. 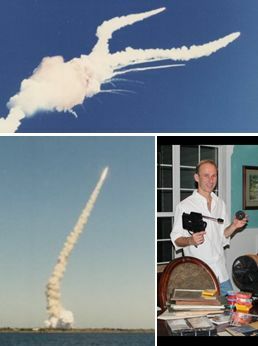 However, recently a rare film of the 1986 Challenger explosion, taken by Jeffrey Ault of Orange City, Fla., has emerged. It is perhaps the only amateur recording of the event on film.